The last few weeks have been phenomenally busy, as I knew they would be and I am now partly counting down the days/hours to our holiday, partly in relief at the idea of a break and partly in complete panic at the number of things I still have to do beforehand (and that doesn’t even include packing yet!). 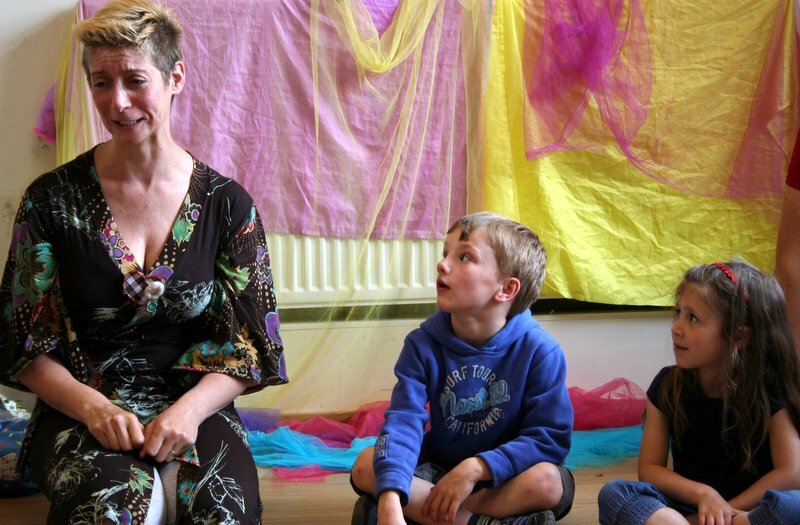 But it has also been lots of fun. After all the PomPoms went up, I had to catch up with all the PomPom blogging and publicity and then really get to work on my tasks for FABFEST!. FABFEST! took place over four days from 13-16 June and was Balfron’s first ever arts festival. 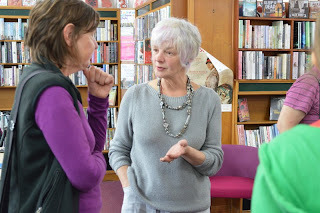 It was organised by our not-for-profit arts organisation, FAB Arts, which means in reality, Dawn, Frances and myself. 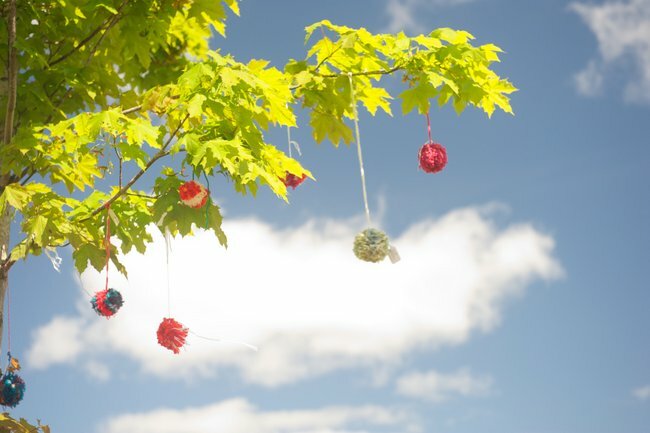 Just like the PomPoms, FABFEST! 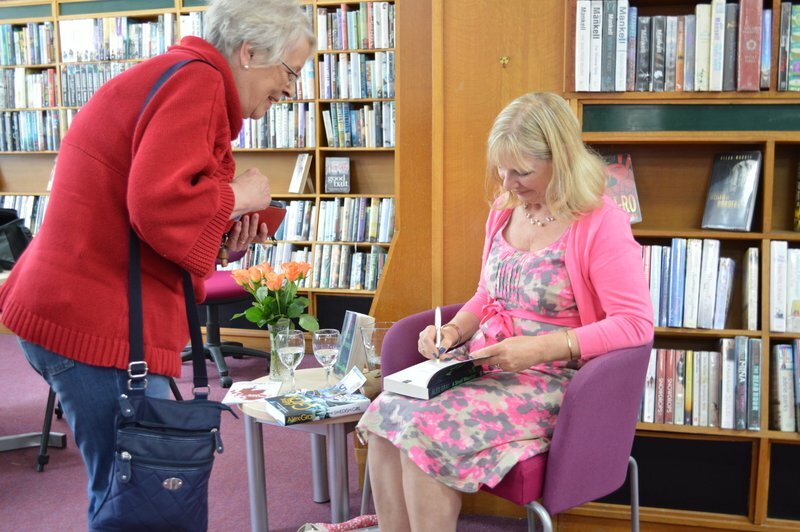 went down a storm. I would have loved to visit all the events, particularly the author readings by Alex Gray and by Liz Arthur, but at the times they were talking I was helping out with a pre-schooler story-telling and puppet session and then leading a felt making workshop. One of the time changers that appear in the Harry Potter books would have been really useful over the past month! 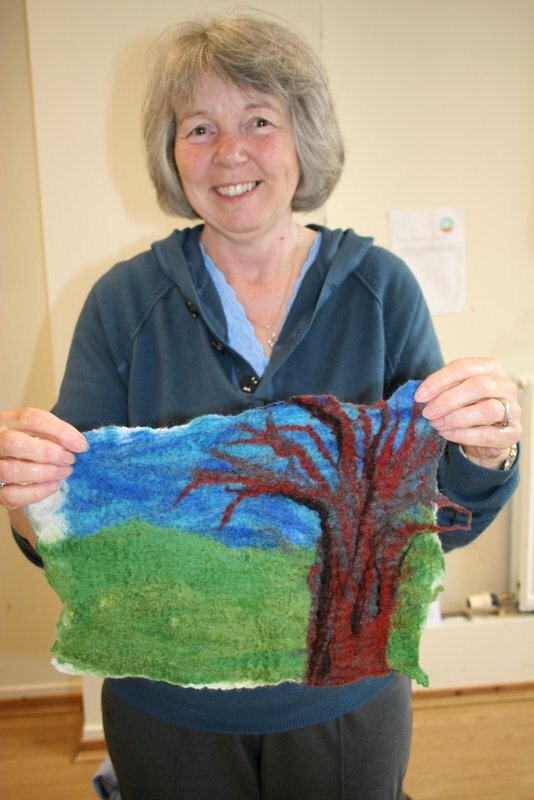 My felt making workshops were a great success and I enjoyed them too. There was some lovely felt made, mostly for the first time and a real enthusiasm for classes to continue in the autumn. 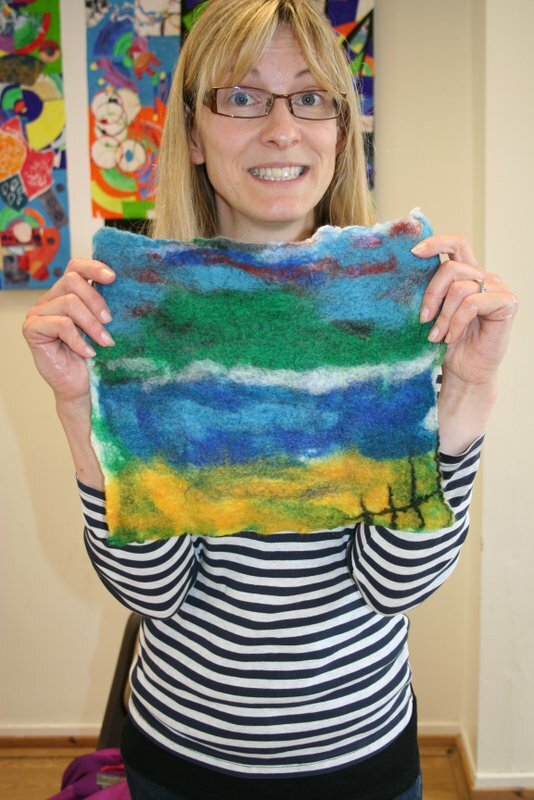 On the Saturday, my children’s art classes, ArtWorks had their annual exhibition, along with some free drop-in activities I had devised. Dawn, who runs the classes with me was running the overall festival, so this part was down to me. Again, lots of enthusiastic visitors and we had to end up recycling the print blocks as it was so popular. 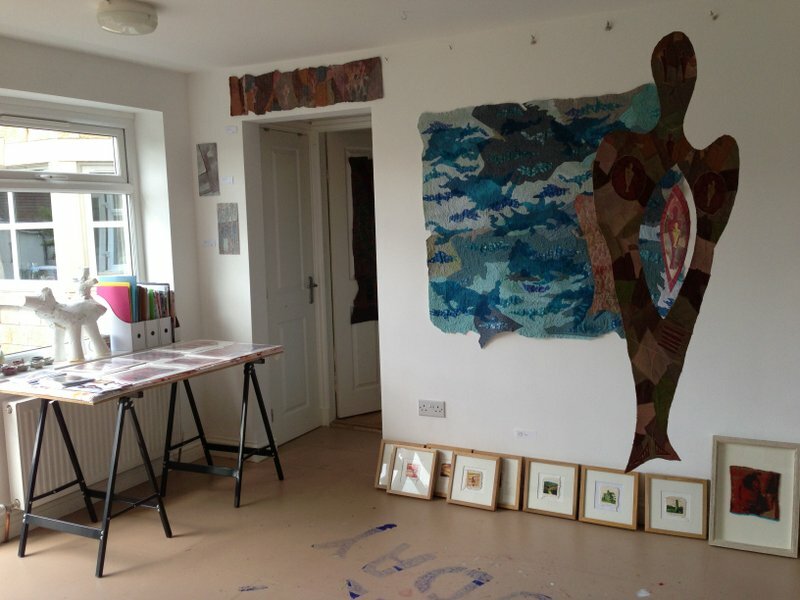 On Sunday, I had Open Studios. It had been a huge effort to get my studio ready. Unfortunately I have lost the before shot so you can see the difference. Many of my friends say ‘Wow’ in amazement when they entered – not about my artwork, but the transformation of my studio into a tidy place. I like the tidy studio (shame about the rest of the house), but I’m looking forward to messing it up again when I start some new work soon...! 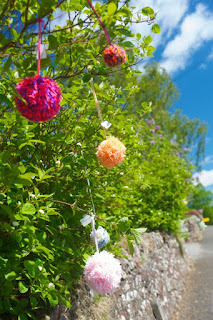 Following on from the Loch Lomond Quilt Show, life has been beyond frantic... mainly due to the PomPoms. 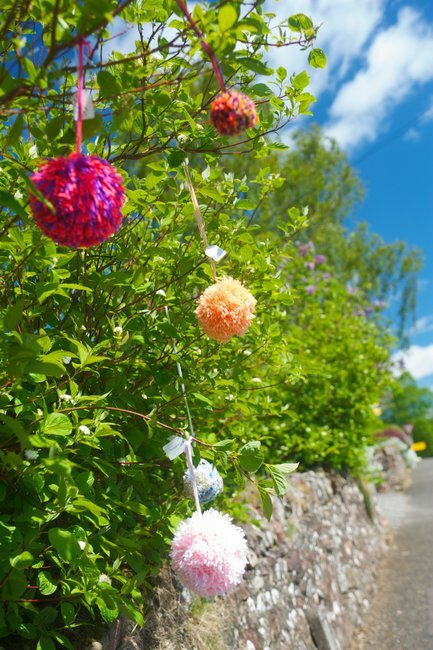 I was hoping we would receive 1,000 PomPoms as that, I felt, would give us a reasonable coverage over the village. I have been staggered by the response and last weekend we hung over 2,250 PomPoms from trees in Balfron. It has been amazing. 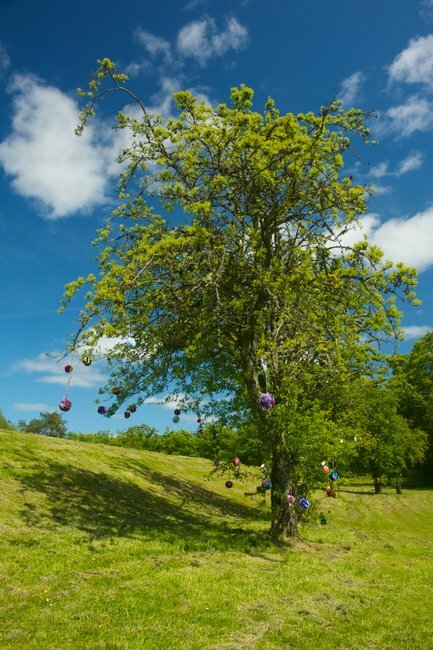 The best bit has been all the people looking at them and smiling and talking about them and why they are there (because it seemed like a good idea?). 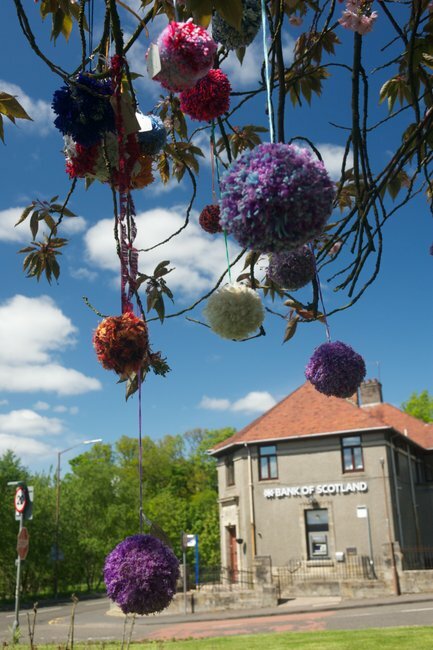 I have millions of photos of PomPoms – these are some taken by Alan McCredie, an Edinburgh based photographer. The PomPom Blossom Festival has also been featured in The Herald, with me standing amongst them – my first national press appearance (this is a link to the article). Not sure why they had to give my age. I wanted to say ‘324 and very well preserved!’ but in the end I was boring and honest! 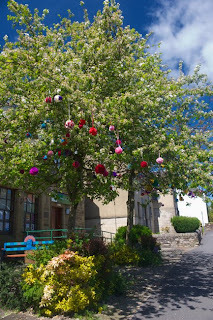 I am still logging PomPoms, doing photography and blogging them, but also am having to move on to FABFEST!, Balfron’s first arts festival, which starts a week today. 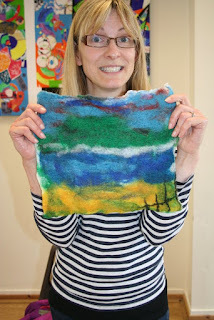 As well as being one of the three organisers (and the PomPoms are part of it), I am running two felt making workshops Friday 14th June (still place available),curating along with Dawn our ArtWorks exhibition for the Saturday and arranging drop-in art activities to run alongside the exhibition AND I have Open Studios from 11-4 on the Sunday. Better start tidying now! PS - I'd better say that FABFEST! 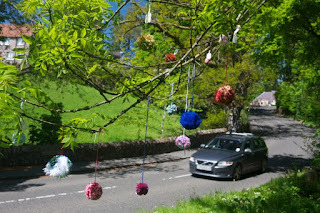 and the Balfron PomPom Blossom Festival have been generously funded by Awards for All (Scotland). 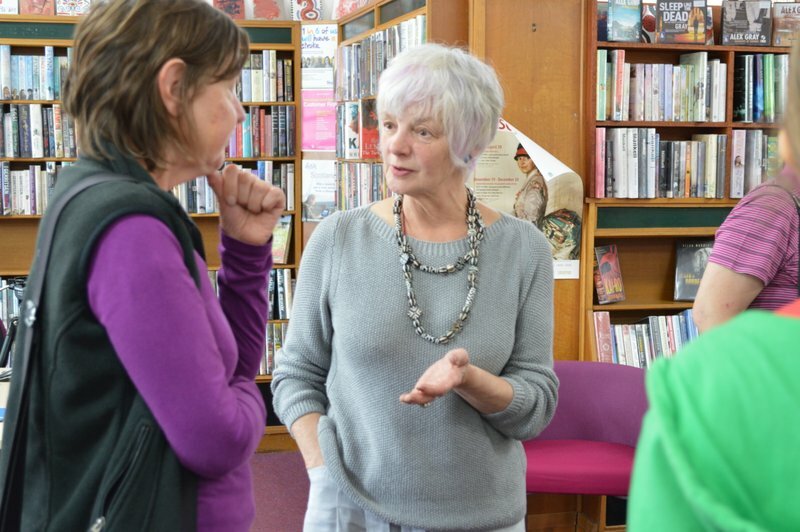 We're really grateful for the grant as we have been able to do so much more than would have been the case. Thanks!